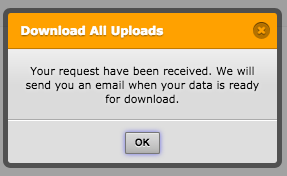 When I use the button "Download all Uploads" I'm recently getting a notification that the zip-creation is in progress and that I will receive an email with the downloadlink. This used to be different. Normally I was prompted to download this zip. This is also what I read in other posts. Why have you changed this? I don't want to go to my e-mail for the download. I click on a button and the zip-download should start. Nothing else. 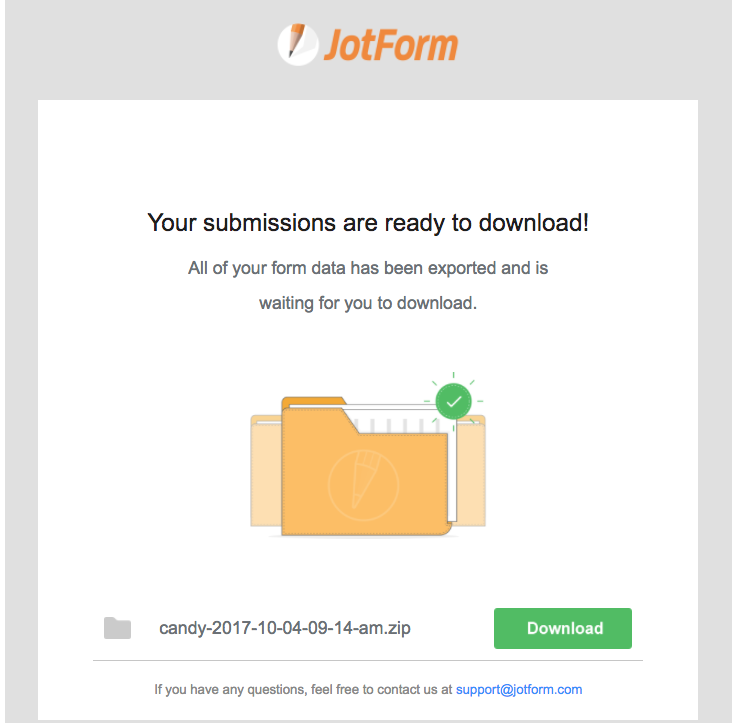 I use Jotform to manage a lot of free accounts. So the owners of the free accounts don't receive mails directly (all forward-emails to my address). So this is really annoying for me!! I know there is an option in the account to download everything, but that is also no option. I think it is weird that such a fuction suddenly changes. I've build a routine on it, and now I can't use it anymore the way I would like to. 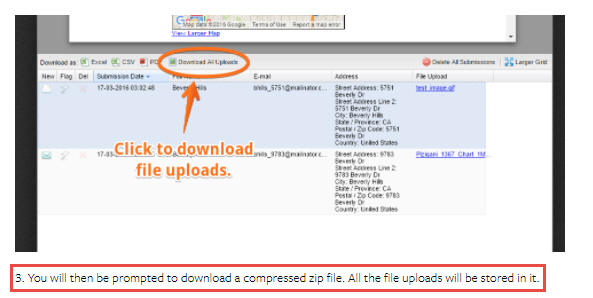 After being ready, uploads will be sent to your email address. 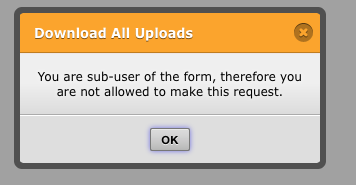 Sub-users aren't allowed to download all the submissions to their email address. This is the normal workflow of this progress currently. If you need any further clarification, let us know.